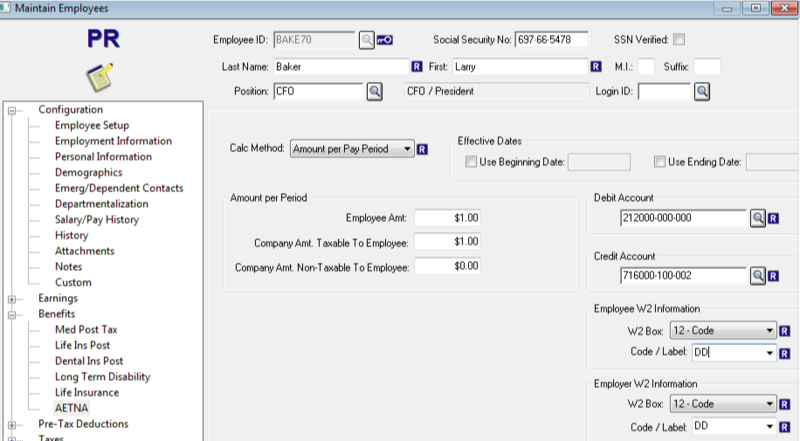 In Payroll Maintain Employees, choose an employee, edit and then Add the new medical Payroll Feature. Select the Feature in the Benefit/Pre-Tax tree. At this point, you will want to modify the W2 Code/Label for the Employee and Employer W2. Simply overwrite "Code 4" with DD.